We are dedicated to providing information for people flying in & out of Dubai International Airport. Our aim is to create a website and news blog that will contain all the latest news regarding Dubai Airport in the United Arab Emirates including detailed information on Live flight arrivals & departures, car hire, dubai airport transfers, buses, metro and taxis. We also provide details on all passenger services at Dubai Airport, such as the Dubai Airport Hotel, Dubai Duty-Free, bars & restaurants, Dubai Tourist information & Tours, Dubai maps and much, much more.! We hope our visitors find all this information useful and that it helps them to enjoy a fantastic, care free experience when visiting Dubai International Airport and the surrounding area. 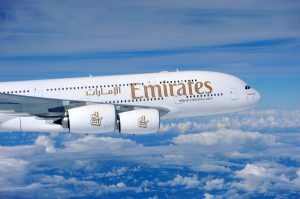 Be sure to bookmark our website at www.dubaiairportguide.com and also our news blog at www.dubaiairportguide/news-articles. We are constantly updating our pages to ensure that all the information we provide is relevant and up to the minute. From all of us here at Dubai Airport Guide. If you would like to contact Dubai International Airport directly please use the link below. Alternatively, if you would like to call Dubai Airport please use the Dubai Airport Contact number below. If you would like to contact us please use the Form below..